Can’t play the video? Download it in MPEG (MP4 [Moving Picture Experts Group Video] ), Ogg Theora (OGV [Ogg Theora Video] ), or WebM (WEBM [WebM Video] ) format. 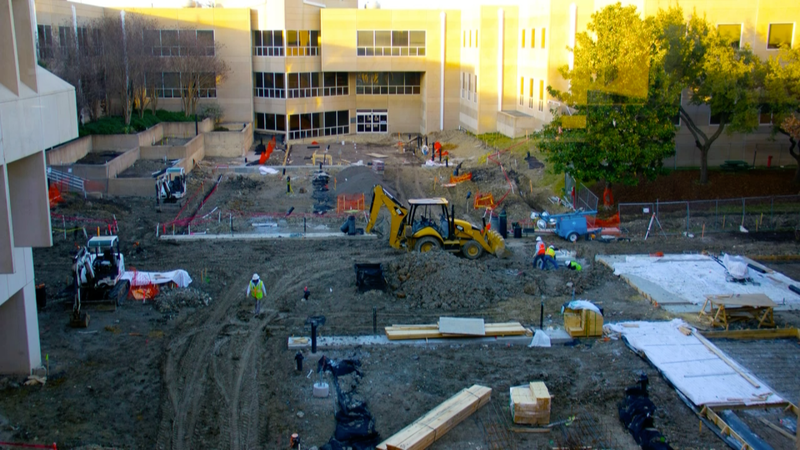 This series of photos shows the construction of the redesigned North Mall. Our new mall will feature more green space; will have more places to gather, study, and socialize; and will compliment the beauty of the South Mall.